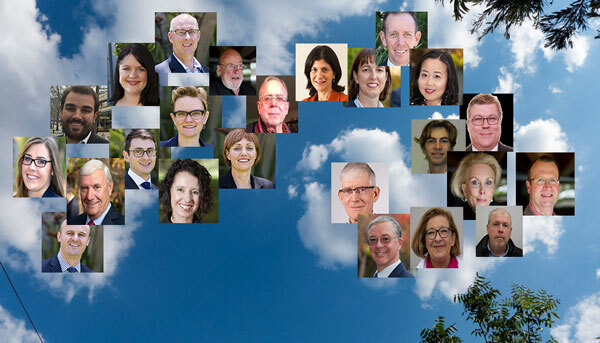 Inner south residents and Kurrajong candidates – who do we trust? On Tuesday night there was another debate between the Kurrajong candidates and the electorate – this time staged by the Inner South Canberra Community Council. 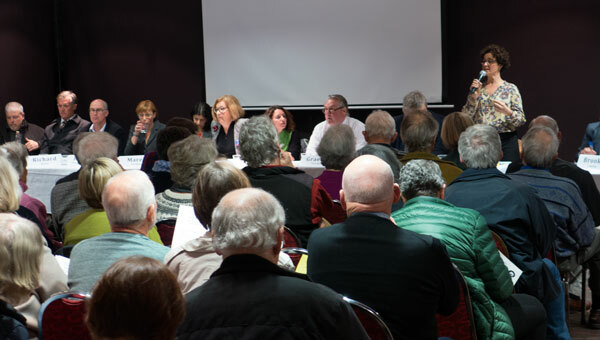 There had been the northside version of the Kurrajong candidates meeting last week – as well as a special one in Reid on Canberra’s heritage issues. After the last Kurrajong meeting I listed my preferred candidates. It is now time to try to firm up that vote. So what happened on Tuesday evening in a room packed with 160 people (maybe more)? This meeting was very different to the former. The format worked much better as it allowed all candidates time to introduce themselves. And that led to some fun statements! Most candidates were keen to show how much they were of the community – how local they were – and all that touchy feely stuff. Then there was this. One candidate made the connection of how they were an appropriate candidate as they had served as a F-111 bomber navigator – had dropped an enormous amount of bombs and had done so ‘on target – on time – as they were expected to be delivered’. There was a quick silence (as people took that in) and then laughter as they understood the analogy (I think that’s why they laughed). Another gem for the night was a vague proposal to bring back the ‘Super Car’ races – and to use the Arboretum as the venue. I was sitting up the back – but would have loved to have seen the audience faces on hearing that. Here’s a theoretical. If a voter had wandered into that meeting and they did not have preconceptions of the candidates – and based on the optimistic notion that the candidates would deliver on what they were saying – I suggest that most, not all, candidates sounded quite electable. At least during their first three minute presentations. It got a bit noisy and messy later during question time. In fact if we took all the women standing in Kurrajong – and if they could cooperate on a consensus basis – I suggest that they would make a very workable force within any new government. But that’s not going to happen. Unfortunately. There was the surprise that all candidates agreed on action on climate change and on the present government’s approach to renewables. Meanwhile at the federal level? In the former meeting, everything was portrayed by the Chief Minister as being just fine with planning and all that stuff. In this meeting the two Labor candidates were more open for change having knocked on doors and heard the issues. The Liberals, especially Steve Doszpot, were very comfortable with themselves instead of being goaded by statements from the Chief Minister. I suspect planning will change – but not by much if it is the same leadership again. Rates dominated for a while and things got heated. This issue seemed a bigger issue at this southside meeting than at others. I cannot say that any candidate present was clear on how to handle the complex issues around where the money is to come from to pay for all the services we expect. As with people on the night, I have had enough of the political donations and the spin used by the two majors to justifying it. Both major parties could have cleaned up donations yesterday but have chosen to make election pleasing noises but so far no action. Residents expect that those dollars still speak again here in Canberra if the two majors dominate the new Assembly. Peter Robinson performed again and pleaded to be Chief Minister and outlined how he would use consensus across all parties. Unfortunately towards the end of the meeting he started to shout down others – I am not sure that is how consensus works. The tram was a hot contentious issue with this crowd. It got a bit noisy. So many versions of the costs were presented and argued about. The truth is out there – but who knows where? For me I am over the hysteria, I’m with Richard Denniss on this one. Bring on the tram and a far better integration of all transport. I do worry that if allowed to continue as before, the Land Development Agency will stuff up Northbourne avenue. The LDA needs to go and another agency oversee such important decisions on the future of our city’s landscapes – and the buildings within them. For me the independents and the Greens are required to be slotted into government to bring about changes in so many areas, especially in the way the community is trusted to be engaged up front and not simply informed through pretend consultations. In the end ‘trust’ is what it comes down to. Despite any of the issues and how we agree or disagree, we need to trust the government we elect and they need to trust and value their electorate. This is absent at the moment. Mutual trust needs to restored and several of the independents were projecting this as their core value. So who are my five? My votes did not shift much by this meeting (despite all the noise): Marea Fatseas, Rebecca Vassarotti, Shane Rattenbury, Mike Hettinger remain my top four with the hard decision on the next one. I am not including any majors so leaving most of the ballot blank. Possibly Maryann Mussared (Like Canberra) is number five as that gets an arts person in there. Anything could happen till I get to that voting booth. Congrats to the meeting organisers – it was a good forum. There should be more forums like this one on issue by issue over the next years. Reminder: The early or pre-poll voting booths have opened – click here for details.